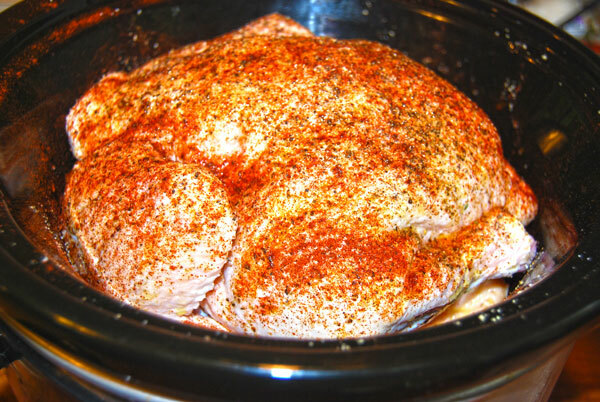 I’ve always been a little leery of cooking chicken in the crockpot since it has a tendency to dry out. I was pleasantly surprised with the whole chicken, and was able to make a delicious soup with the leftovers the next day. 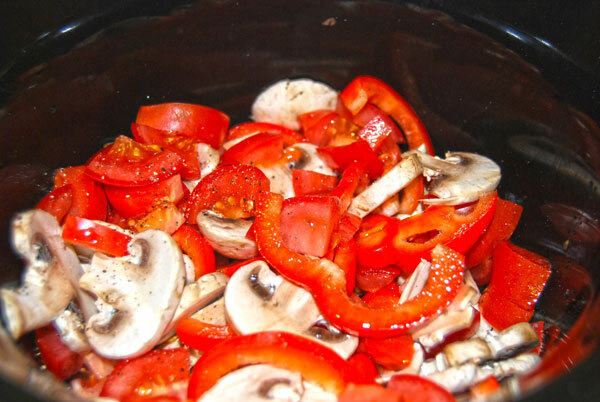 Add mushrooms, tomatoes, red pepper to the crockpot. Place the chicken in breast side down. Pour wine over chicken, salt and pepper to taste. 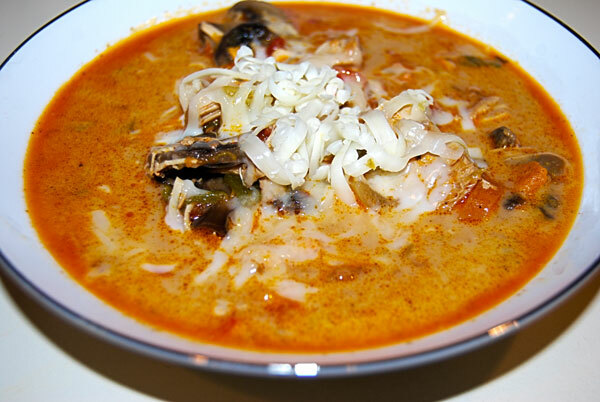 I went fairly heavy with the paprika since it really colors up the skin nicely, and gives the broth a rich flavor. Cook on low for 8 hours. When cooked, removed the chicken to a sheet pan…I didn’t even need to use a knife since the meat was literally falling off the bones. 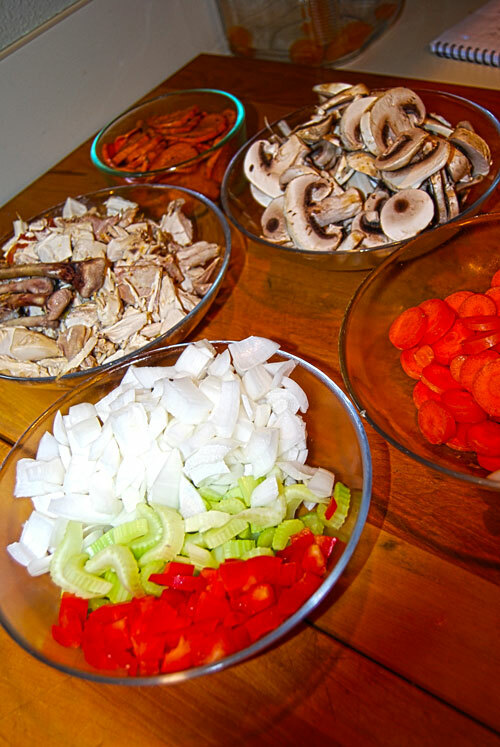 Be sure to save all that broth for the next day’s meal ! 1 cup leftover roasted sweet potato rounds (optional) I just needed to get rid of them. 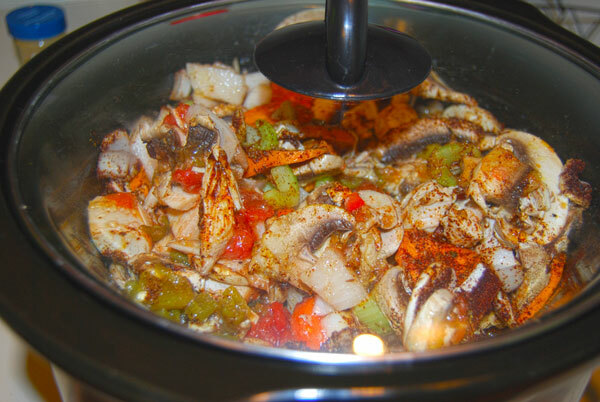 Combine all ingredients in the crockpot, give it a stir. 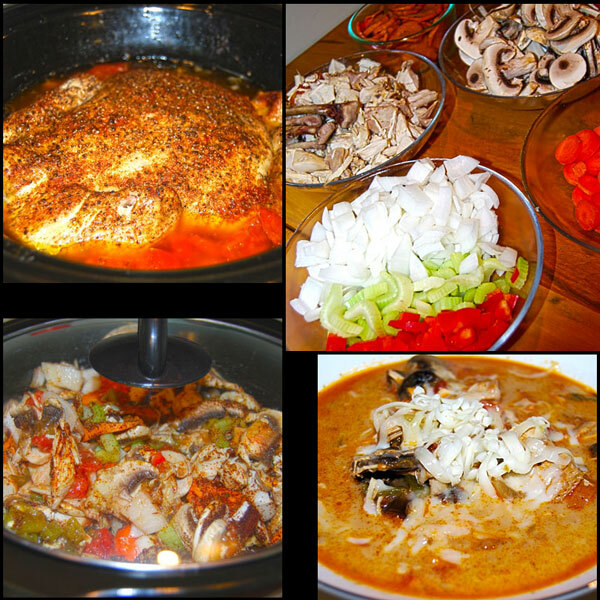 I actually threw in the larger bones from the drums and thighs during cooking — I think it makes for a tastier soup. Cook on low for 8 hours or high for 4. Add heavy cream right before serving, and top each bowl with a bit of grated pepperjack cheese if desired. This recipe passed the “kid test” by the way…we had 3 hungry teenage boys over helping move some heavy stuff out in the yard and they devoured it ! Perfect ideas, each one so different! I vote for the second one, its got all my favorite flavors! Thanks ! It was delicious. Sounds great. 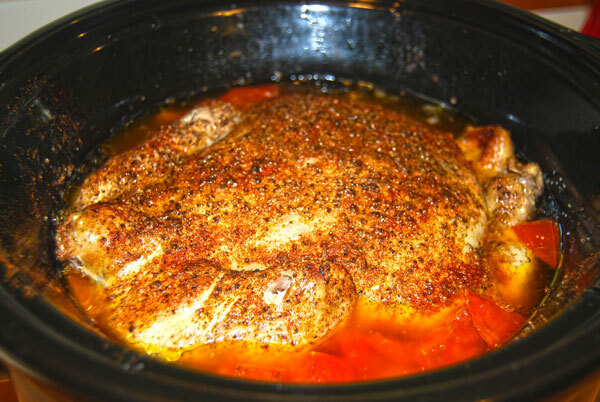 When I cook chicken it’s almost always a roaster because I get more bang for my buck that way – hadn’t tried the slow cooker yet, I’m looking forward to trying this! Thanks! I love the multi meal planning!!! Thanks Diane. I have to maximize since I work some very long hours, and dual meals definitely pays off!